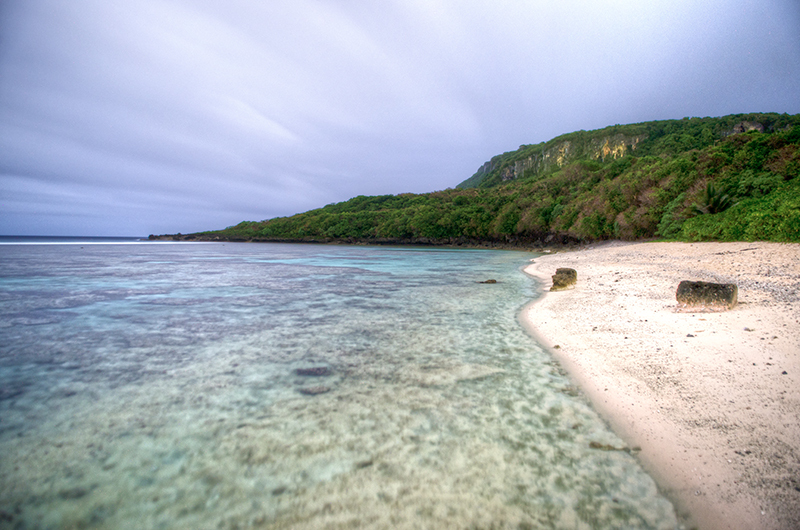 Wing Beach, Saipan, Northern Mariana Islands. Attempted to do some night time photography this past weekend due to the full moon. However, the sky was partly cloudy with scattered showers. I managed to take a 5 minute exposure of Wing Beach. At first glance, you could quickly assume that this picture was taken in the day time. However, small details of the picture will tell you otherwise. Since it is a long exposure, anything that is “moving” will show movement in the frame. If you look at the clouds, you can see how they form streaks across the sky (just as stars would in a long exposure).